Floating floors come in a variety of styles, colors and materials. 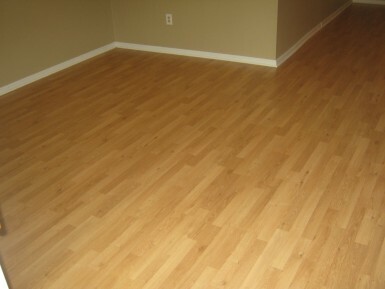 Laminate flooring now comes with seams and texture to mimic real hardwood or tile flooring. LVT floating flooring is an up and coming product. It is durable and resistant to water and moisture. There are also styles with a bamboo core and cork backer for the ultimate in durability, noise reduction and water resistance.